SUPPLYING THE LONDON 2012 OLYMPICS! 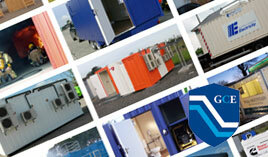 General Cabins & Engineering Ltd. has been designing and manufacturing steel enclosures for over thirty years from their purpose-built factory and offices at Dungannon, Northern Ireland. Under the influence of the company founder, the company continues to develop and grow its range and expertise. Quality materials are used throughout and we remain market-competitive by continually sourcing new products and designing new processes to achieve more efficient use of materials at our manufacturing process. Research and Development is at the forefront of our agenda as we explore the possibilities in the design and use of mobile and static steel enclosures. Having recently completed an expansion programme, we are already planning the next phase of our development to further extend our production capabilities and product range to meet both local and export demands for a diverse and specialised market. 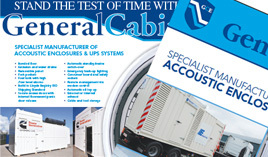 General Cabins has unrivalled expertise together with a flexible approach and the knowledge to design and manufacture an enclosure that is 'Built to Last'.